www.vinylkingdom.com is operated by Simka Consulting Ltd. The user shall be responsible for maintaining the confidentiality of his or her password, which he or she will not be under any obligation to reveal to any representative or employee of VinyKingdom. The user is therefore responsible for all transactions under their account name and password. Vinylkingdom have the right to terminate an account and/or cancel any orders at our discretion and at no charge to the customer. In the case of an order being cancelled, the client will be given a full refund for the value of that purchase. The vinylkingdom website contains material which is owned or licensed to Vinylkingdom and its distributors. This material includes, but is not limited to the design, layout, look, appearance, graphics and images. Reproduction of any of the above is prohibited other than in accordance with the copyright notice which forms part of these terms and conditions. Content of the site – Prices and details of items on this site are subject to change without notice. All items are subject to availability and we can give no guarantee in this regard at the time of ordering. Due to the large number of items on the site some items may no longer be in stock at the time of ordering. Such incidents will result in a full refund for the customer by not later than 30 days from purchase date. The customer will be informed about the status of their order as soon as such information becomes available. Vinylkingdom will try its best to minimize these discrepancies however, due to circumstances beyond our control, some discrepancies may arise. When ordering Preorder items, the expected time of shipping is stipulated but may be subject to change beyond our control. In the event an item is delayed, Vinylkigdom will contact the client about this change and work out a solution if necessary. Vinylkigdom accepts the offer of purchase when an email confirmation is sent to the customer. If multiple items occur on a single transaction and an email confirmation is sent covering a portion of the items on the transaction, then only the items covered on the confirmation email are covered by this contract of sale. In accordance with Article 6 of Distance Selling Regulations, all good purchased from Vinylkigdom have a cooling off period of 15 days. Any goods returned during this period must be returned in the same condition as supplied. Vinylkigdom reserves the right to refuse any damaged goods at its own discretion. This cooling off period does not apply to the sale of periodicals, comics, newspapers or magazines. In accordance with the Data Protection Act and in order to safeguard the interest of our customers, Vinylkigdom does not store or have access to view any sensitive customer data, such as Credit Card Number, other credit card information and your personal Vinylkigdom Password. No member of staff from Vinylkigdom will ever ask you for your website password. To the fullest extent permitted by law, Vinylkigdom is providing this site and it’s contents on an ‘as is’ basis and makes no representations or warranties of any kind, express or implied, with respect to this site or the information, content, materials or products included in this site including, without limitation, warranties of merchantability and fitness for a particular purpose. In addition, Vinylkigdom does not represent or warrant that the information accessible via this site is accurate, complete or current. 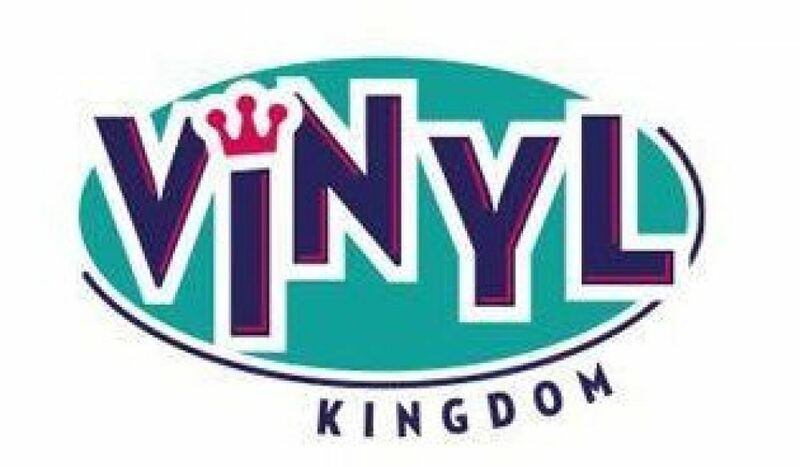 Any contract resulting from the purchase of an item from www.vinylkingdom.com will be executed & concluded in English language.